From many years of experience, we realise that some questions pretty much always come up, whatever the size of the move. You’re likely to find your relocation preparation question here in our moving FAQs. What is the first thing I should do once I know I will be relocating? Call us! To make sure you are able to move on the date that you wish, we recommend booking at least a month in advance. You will then receive a written quote for your relocation, valid for 30 days. What if my plans change and I need to cancel the booking? That’s not a problem. At Hills Professional Removals and Storage, we will happily alter or cancel your booking for no fee as long as you give us at least 48 hours’ notice. If you cancel within 48 hours of your confirmed date, we are obliged to charge a percentage of your booking fee as a cancellation charge. The average four bedroom home takes two weeks to pack up, prior to your move date. For more information and handy tips on packing, visit our move planner page. I’m worried I won’t have time to pack everything up. Can you help me pack? Some of our customers like to pack their possessions as part of the move process, whilst some prefer to share this task. This is one of the options the team will discuss with you. Should you wish to pack your own items, we can offer you everything you’ll need, including cartons, bubble wrap and packing paper. Check out our services page for more info on this. Do you provide an unpacking service at the new property? 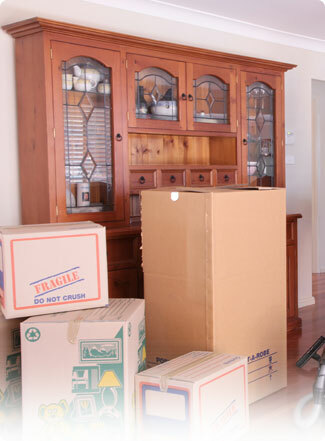 Should you want us to unpack and place your possessions in your new property, this is a service we are happy to offer. Simply chat it through with the team when you make your booking. There are some gas bottles and cleaning chemicals in the garage. Will you move those? For safety reasons, we don’t move anything that is, or could become, corrosive or flammable. Have a look at the move planner page for tips and information on these substances, or talk to your team member when you make your booking to confirm on individual items. Is it worth getting insurance for the move? Yes. Many years of experience and thousands of relocations have taught us that things may happen which are out of our control. If your possessions are important enough to you for you to move them to your new property, then they are important enough to be insured. Where do I find good insurance? We are distributors for CARTS Insurance, who are underwritten by Allianz Australia. CARTS has been developed specifically for customers moving house, across town or across the country. Insurance can be arranged by visiting their interactive website at www.removalsinsurance.com.au, or they can be contacted on 1300 880 253. Whether you’re a seasoned mover or a first time buyer, we know that moving can also bring up all sorts of unusual questions, and we are more than happy to talk to you about them when you contact us. With many years of training and experience under our belts, we’ve worked on every conceivable project, large and small. Please call us on 02 9624 5638, or send us an email at info@hillsremovalists.com.au.